It feels great discovering unknown fun facts about one’s state, especially when it’s none other than Washington DC. Help kids discover interesting facts about Washington with our fun, free social studies printable for grade 4 . 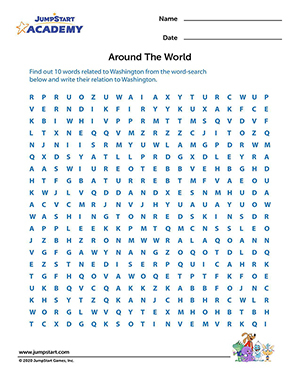 Kids will love to locate words related to Washington from the word-search and then think and come up with clues that link the words to the District of Columbia. Browse more fun, free worksheets for 4th grade kids.